Next up on our Song-By-Song preview is the official entry from Malta, “Taboo” by Christabelle, written by Johnny Sanchez, Thomas G:son, Christabelle Borg, and Muxu. The song is performed in English. Christabelle (last name Borg) began her career as a television host on Maltese television in her teens and expanded into music as she got a bit older, making several attempts to represent her country in both the Junior EuroVision and EuroVision contests, finally getting the nod this year. The song will be performed 12th in the competition order on the second semi-final on May 10. The song takes a look at the plight of those suffering from mental illness and how society sometimes looks upon them as animals and criminals, which is a key part of the chorus of the song. The video looks like it was ripped out of a Mad Max film, using the whole dystopian future idea to propel the song’s message that we need to be more positive in the treatment of people suffering from a variety of these illnesses. But while well written, I’m not a huge fan of the presentation – the video isn’t really very original, with multiple videos in recent times doing the dystopian future idea, and the song itself is typical EuroDance. I doubt it has much of a shot to make an impact on the US Charts, although the song is performing well, if not spectacularly, with EuroVision fans. 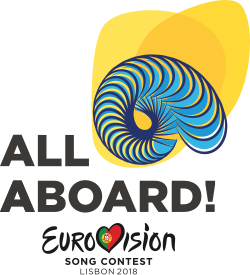 Malta first participated in Eurovision in 1971, then after a few competitions withdrew for a 16 year period before returning to the competition in 1991, and have participated each year since. Although they have yet to win their first Grand Final, they have been in the runner-up slot twice since returning, in 2002 and 2005.